I received several blog content requests for more work outfit ideas. While I feature a lot of casual outfits, I haven’t shared much for people who work in more formal environments. I took a quick poll on my insta-stories, and 48% of my followers have a “business casual” dress code…if you fall in that category – today’s post is for you! I’m no stranger to business casual – I worked in Investment Banking after graduating from University, and my entire wardrobe consisted of dress pants, blouses and suits! My banking days seem like a lifetime ago – and yet it is also a period that I’m very proud of, because I set a goal of being hired by my dream firm: Goldman Sachs, and I achieved it. Being hired as an analyst wasn’t something that I accomplished by myself – I had a VERY supportive network around me. My classmates at Wellesley College helped me write my resume and encouraged me to apply for internships, while alumnae volunteered their time to stage mock interviews and shared tips on how to make the best impression during meetings. Strong connections make SUCH a difference, and Ann Taylor wants to empower the next generation of women leaders by helping them realize their potential. They have been partnering with Vital Voices since 2011 on the HERlead program – which awards annual fellowships to 30 girls who make an impact in their communities. The program provides mentoring, grants and leadership skills and is open to high school sophomores and juniors in the US, Canada and Puerto Rico. Tell everyone you know and encourage the young women in your life to apply – one of last year’s winners was from Canada! The chosen candidates will take part in a four-day training program in New York City from June 24-27, 2019. The application period is open until March 8th, for more information: click here. 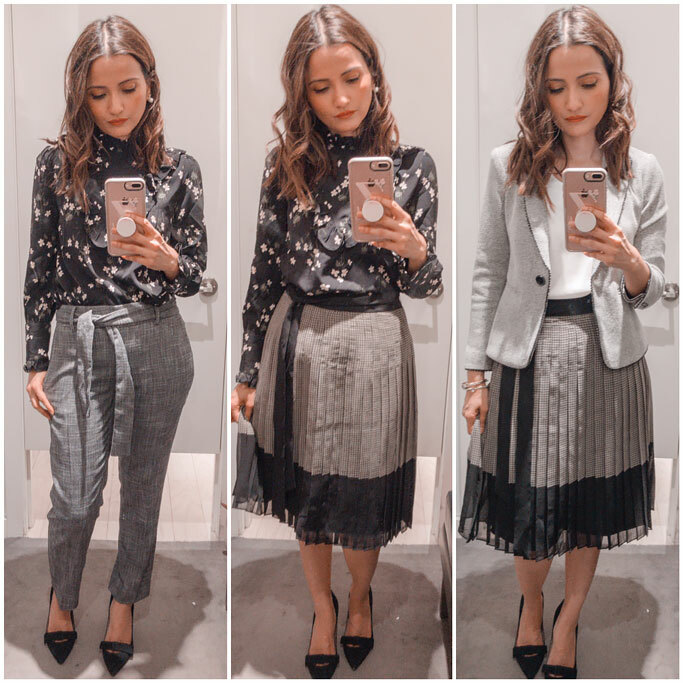 As I was in-store picking out an outfit to share with this post, I found so many cute and versatile pieces – perfect for all of my readers who had been requesting work outfit ideas! I think it’s important to invest in high quality workwear – but make sure to chose items that you can mix and match, so that you get the most mileage out of your investment. I love the design of these pants – you can pair it with any type of tucked in top (blouse, cami, t-shirt) and the tie-waist detail instantly makes it look chic. This pleated skirt is SUCH a star item – there are so many different ways to style it – I wore it with a ruffled blouse for this post. When I went in store, the manager was wearing it with black tights and a black turtleneck – another amazing work outfit idea! For a more formal “dressy suit look” you can pair it with a structured cropped blazer, and it even looks pretty for a night out if you take the jacket off and wear it with the sleeveless shell. I like to add a feminine touch to all of my outfits – which is why I love the ruffles and florals in this high-neck blouse. I would invest in a couple of classic work trousers (in black, navy and grey) and pair them with a blazer for presentations, and blouses/sweaters/camis the rest of the time. I didn’t own a tweed jacket back then – but own several now, as they also look amazing paired with distressed jeans (I shared 2 Ann Taylor tweed jackets in this post). A multi-coloured jacket like this would be great to keep in the office, as you could pair it with any solid-coloured skirt or trousers. This cute leopard print bow blouse was on clearance for around $30 in store! 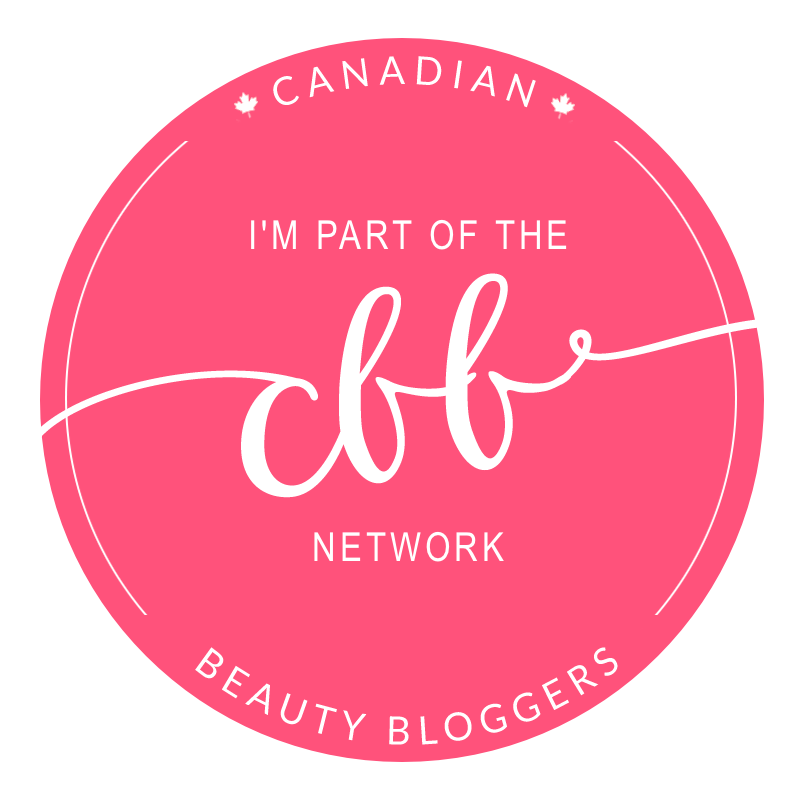 I hope you found the work outfit ideas in this post useful – and don’t forget to share the fellowship application with all of the young women in your life! Have you ever had to follow a business casual dress code?